There is a running saying in Seattle that Summer doesn't officially begin until July 5th. With the heat wave we have been experiencing there is no doubt that it is here today. In the Summer I like to go low-key with my makeup and introduce more natural and environmentally conscious products like Tom’s of Maine® Long Lasting Deodorant in to my beauty routine. Here are my favorite natural, eco-friendly beauty products to help you get through the heat of the Summer beautifully! Sun and salt water can be brutal on the strands, especially on color treated hair. I apply a hair mask at least once a week using Coconut Oil to keep my hair nourished and conditioned. Using a quarter size amount of solid coconut oil I run the oil through the ends of my hair and leave on over night. It does wonders for my dry ends! 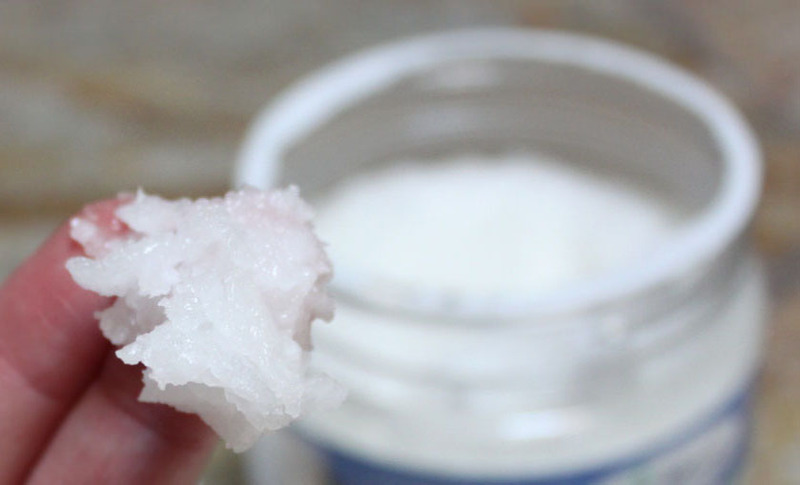 Coconut Oil's usage doesn't stop there. I also use it as a body moisturizer. Smoothing the moisturizing oil over any dry areas. The liquified oil sinks in immediately with out leaving a heavy or greasy feel. You also get to smell like a tropical vacation, who doesn't love that? Nothing is more important when it's sweltering out than a deodorant that works. I never gave much thought to my deodorant ingredients until recently. It was just something I applied every day out of routine with out much thought. More and more though I have become concerned about aluminum and limiting my exposure to it. 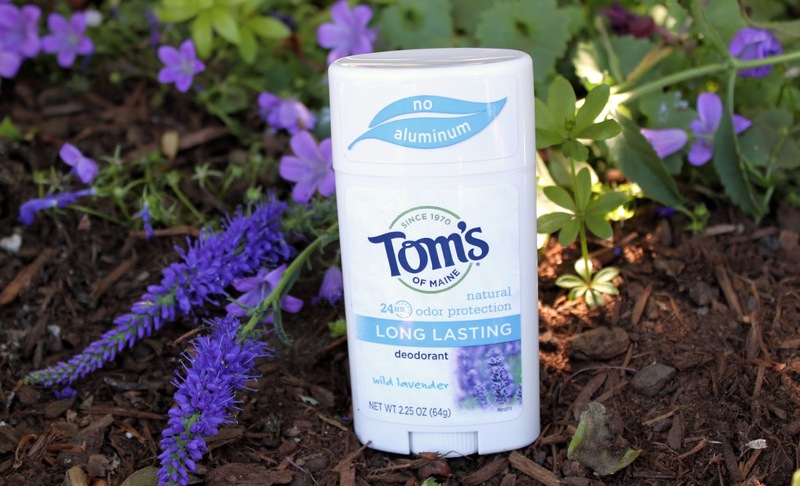 Tom’s of Maine® aluminum-free deodorant stick uses the botanical ingredient hops to inhibit the growth of odor-causing bacteria to keep you feeling confidently fresh throughout your day. 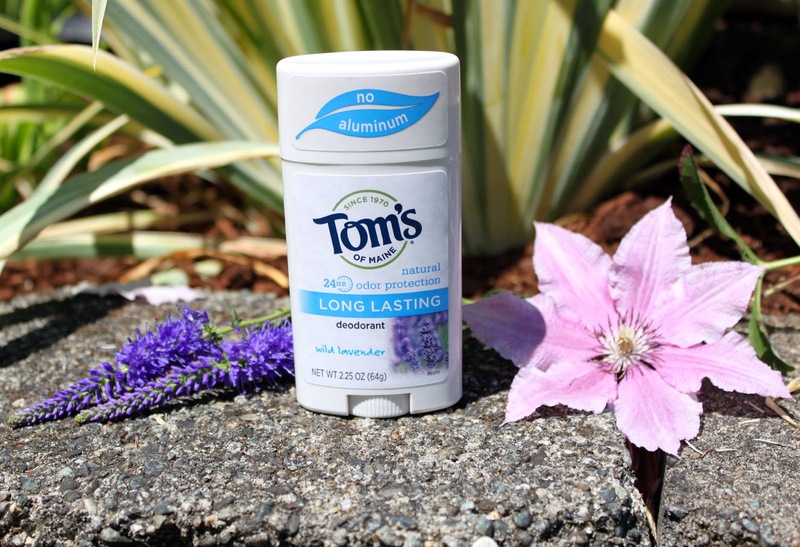 Tom’s of Maine® Long Lasting Deodorant stick provides clinically proven 24-hour odor protection. There are some really lovely fresh and clean scents to choose from. Refreshing Lemongrass and Apricot energize the senses, while Unscented and Powder Fresh keep it classic. I selected Lavender as it is one of my favorite scents. The hint of authentic lavender transports you to relaxing lavender fields. 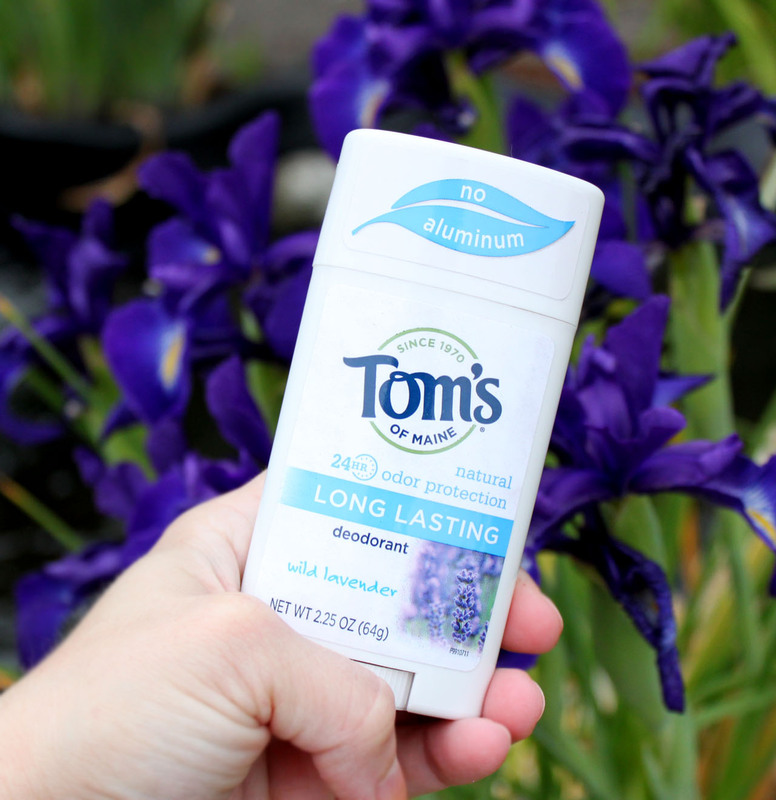 The scent is delicate and calming even while putting your deodorant to the test in the gym! Now the real question, does it work? Yes! It works pretty fabulously. At first your body goes through a detoxifying process from all of those years of overwhelming our under arms with chemical laden anti-perspirants. 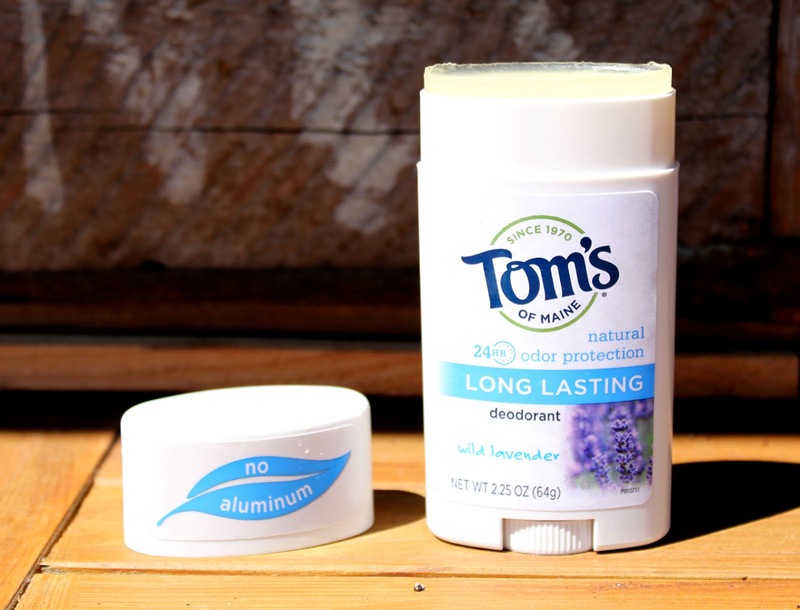 From there, it protects and leaves you odor-free and smelling amazing. It's also one of the least messy natural deodorants I have used. The stick form glides on with ease to a clear finish, no residue left on your clothes! 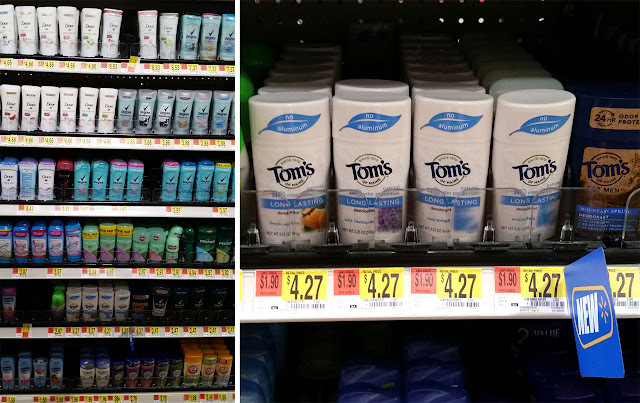 I picked up Tom’s of Maine® Long Lasting Deodorant in the Personal Care aisle at Walmart. Be sure to shop through Ibotta to earn $1.00 Off Tom's of Maine Under Arm Protection Products. 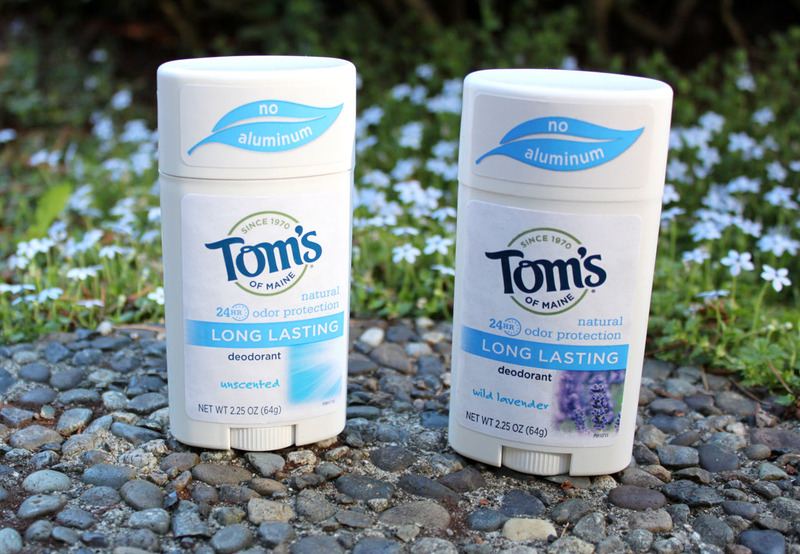 Tom’s of Maine® Long Lasting deodorant products contain no artificial colors, flavors, fragrances or preservatives, nor are they tested on animals. All Tom’s of Maine® packaging is recyclable through TerraCycle with 10% of profits going to human and environmental goodness. 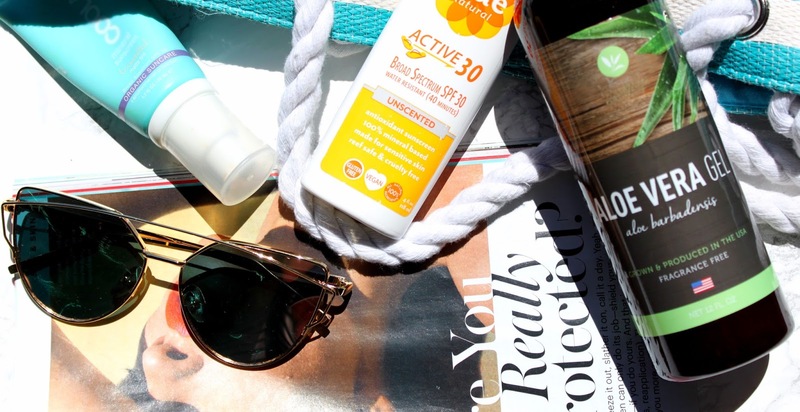 I wear SPF every day and it becomes of even greater importance when the sun's a blazing. There are many natural sunscreens on the market now that protect your skin from the sun with out all of the nasty chemicals. Look for ones containing zinc oxide to protect your skin from UVA/UVB rays. If you happen to get a little too much sun, Aloe Vera will calm and soothe even the moist painful of burns. Like sunscreen lip balm is also essential to me year round, I apply it multiple times a day. 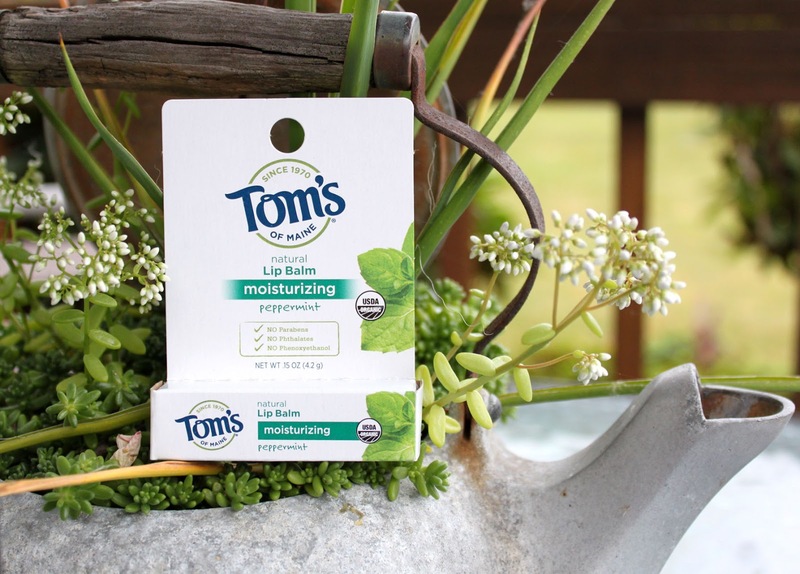 Tom’s of Maine® moisturizing lip balm helps restore lips' natural moisture leaving them feeling soft and smooth. The peppermint flavor is minty cool! If I am outdoors I will switch to one that includes SPF to protect the delicate lip area. Summer time lends itself to a easy, low maintenance beauty looks. For me it comes down to a few coats of mascara, shimmering cheeks, and a balmy bright lip color. There is nothing more uncomfortable to me than wearing a full face of makeup when it's sweltering out! 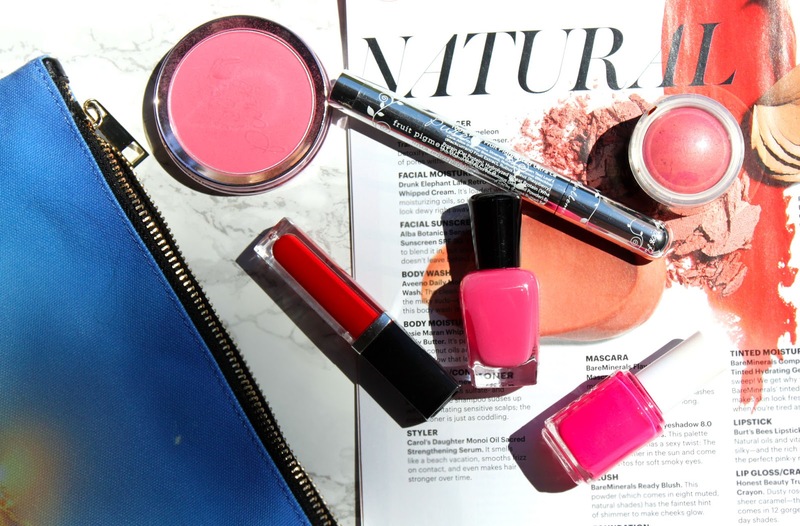 A bright lip color is an easy "trick" to looking put together with minimal effort. I love using ones that have nourishing ingredients like Cocoa Butter and Vitamin E. They will hydrate your lips while providing a pop of color. I also take the color on to my nails with 5-FREE nail polish in bright vivid shades of pink and orange. 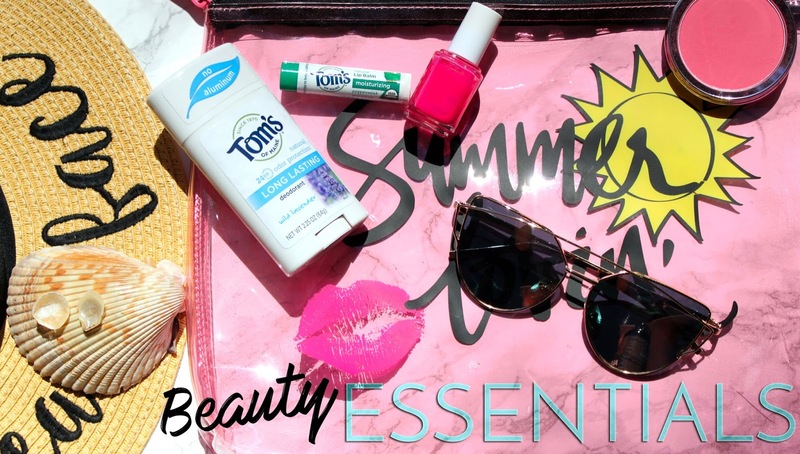 What are your Summer Beauty Essentials? Which scent of Tom's of Maine Deodorant would you choose?